Chicago Bears fans across the country woke up Saturday morning both stunned and delighted to see that their team made a blockbuster deal with the Oakland Raiders. In exchange for several first round draft picks, the Bears acquired Pro Bowl DE Khalil Mack from Oakland. Mack (27) is one of the best players at his position and gives a Bears teams a much needed pass rusher. The 2016 NFL defensive player of the year now will wear navy and orange. The Bears made Mack the highest-paid defender in NFL history with a six-year, $141 million extension that guarantees him $90 million and pays an annual average of $23.5 million from 2019-24. ESPN and NFL Network reported the contract details. Mack, the fifth overall draft pick in 2014, is scheduled to make $13.8 million this season, the fifth year of his rookie contract. Most significantly, the Bears gave up their first-round picks in 2019 and 2020, but they received the Raiders’ second-rounder in 2020. There was more to the trade, the Bears also received a 2020 conditional fifth-rounder; they dealt a 2020 third-rounder and 2019 sixth-round pick. That leaves the Bears without a first- or second-round pick in the 2019 draft because of Saturday’s trade and their 2018 draft day trade up to select Memphis receiver Anthony Miller. 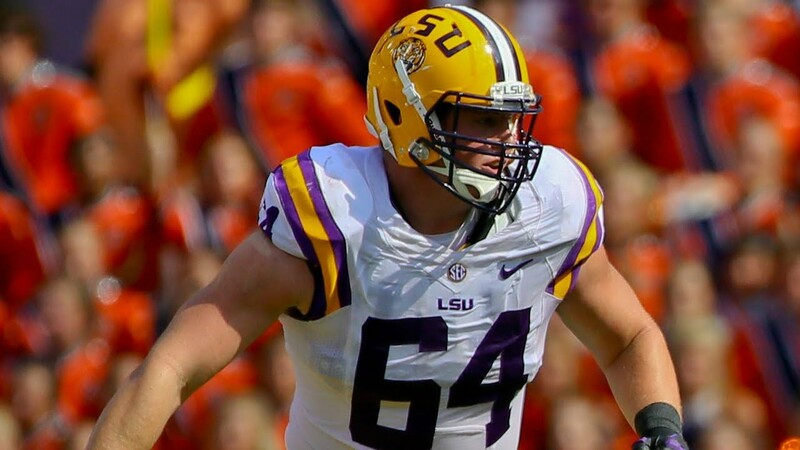 Although the Bears no longer have a 2020 first-rounder, they have two second-round picks. It is a high price to pay in both what they gave up for the trade and what they now owe Mack, but now is the perfect time to pull the trigger on a move such as this, because quarterback Mitch Trubisky is only two seasons into his slotted rookie contract. In 64 career games he has 40.5 sacks, 231 tackles, 72 assists, nine forced fumbles and four fumbles recovered. Mack was rumored to be linked to a number of teams, as he was holding out with the Raiders while trying to negotiate a new contract. Not only is this a huge get for Chicago, but the rival Green Bay Packers were also reportedly one of the teams in the mix for Mack. Him going to Green Bay would have really made things tougher for the Bears. Now that he is in Chicago, the team is clearly very serious about winning this year. Defensive coordinator Vic Fangio now adds Mack to a defensive front seven that has Akiem Hicks, Roquan Smith, Jonathan Bullard, Danny Trevathan, Leonard Floyd and Eddie Goldman. Last season the front seven and defense as a whole was pretty good, adding first-round pick Roquan Smith and Mack makes it all that much better. Now they filled their biggest hole in the pass-rush game. If this team is fully healthy, they can put all sorts of pressure on the quarterback and either bring him down or force bad throws. Mack’s speed is one of the things that makes him so good and he can get around and get to the quarterback very fast. Is this one of the biggest trades in Chicago Bears history? It has to be. There is not a whole lot of trading in the NFL compared to baseball or hockey, so the sample size is not huge. Nevertheless it is still very significant. The last major trade they made was getting Jay Cutler in 2009 for Kyle Orton. Since then there has not been a major move like this one. While not a quarterback, the impact that Mack can make on a team is big because of how good he is. In an NFC North division with Aaron Rodgers, Matt Stafford and Kirk Cousins the Bears will need as good as a defensive unit as they can get. The Chicago Bears must at least have a .500 season in 2018. GM Ryan Pace has worked on the rebuild since 2015 and has yet to reach a winning season. Now is the time to start playing like contenders. The Chicago Bears for the first time in 2018 played at Soldier Field in their preseason match-up against the Kansas City Chiefs. A 27-20 win over the Chiefs improved their preseason record to 2-2. There were a lot of mixed feelings from Bears fans and media towards head coach Matt Nagy’s decision to rest the starters including QB Mitch Trubisky, a decision which was made the night before. Some were frustrated they could not watch Trubisky work with the first-string offense in a game, others were fine with Nagy not risking injury. Chase Daniel made the start for the Bears, who is slated to be the backup on the squad in the regular season. He had a very nice game passing for 198 yards and was 15/18 in completed passes with two of them being touchdowns. He also rushed for 47 yards including a 28-yard dash. Overall he has looked comfortable with the offensive scheme, which makes sense considering he had played in Kansas City with Nagy for a few years. Tyler Bray came in towards the end and went 5/7 with 72 yards. Probably the guys being talked about most in this game were rookie WR Javon Wims and Kevin White. Wims led the way in receiving yards with 114 and caught one of the touchdowns. His touchdown catch was a very impressive over-the-shoulder catch in the back of the endzone as he dragged both feet just inside the zone. So far the 23-year old from Georgia is making a big case to make the roster. Meanwhile 2015 first-round pick Kevin White had two catches for 33 yards. His touchdown catch early on had a lot of people buzzing as he was able to deck the defender and find himself wide-open down field. The defenders who played were second-stringers or lower, zero of the starters played. Safety Deiondre’ Hall led the team in tackles with five and LB John Timu had four. No interceptions or fumble-recoveries recorded. Roy Robertson-Harris did play a little as he is battling Jonathan Bullard for the starting DE spot. There is one more game to be played before their September 9th opener in Green Bay. That will also be at home vs. the Bills. What Nagy will do with the roster for that game will remain to be seen. This is the fifth in a series of articles that will all include the hashtag #ManCrush in which I will highlight specific players that I have fallen in love with in terms of fantasy football and why I am excited about their 2018 season and beyond. Some aspects of subsequent articles may stem from previous articles, so I encourage you to read them all. I also encourage you to check out each of the links for a more in depth look at what makes these players so special. This past season, I acquired Allen Robinson via trade in my dynasty league AFTER his injury in a high risk, high reward kind of way. Let’s just say that what has transpired since that trade has not been in my favor, and I need Robinson to come through for me going forward. The situation will become more clear as we go. But first, I need to tell you my love story. Being a Michigan State fan my whole life, I got the opportunity to watch Robinson destroy Big Ten opponents during his junior season at Penn State in 2013. I’m honestly glad my Spartans never had to deal with him, but sad that we couldn’t bring the Detroit native to East Lansing a few years earlier. That season, Robinson had 97 receptions for 1,432 yards and 6 touchdowns, including 8 games over 100 yards. 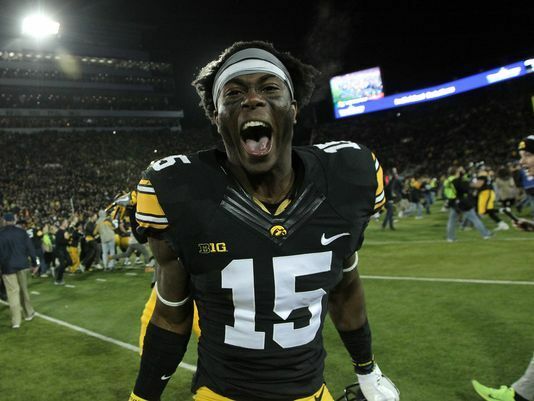 Robinson entered the draft a year early and was a part of the now high-profile 2014 WR class that featured Sammy Watkins, Mike Evans, Odell Beckham, Brandin Cooks, Kelvin Benjamin, Davante Adams, Jarvis Landry, and others. 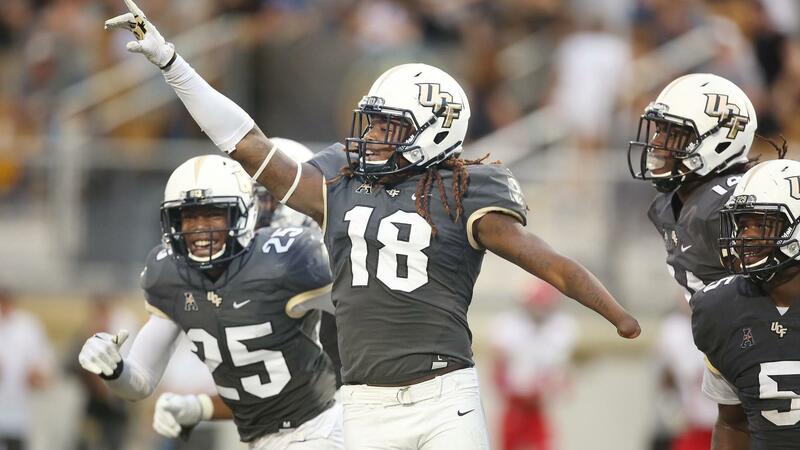 Robinson was drafted 61st overall by the Jaguars, who had grabbed QB Blake Bortles in round 1 with the 3rd overall pick. On paper, it was an ideal situation for Robinson, being able to start his career with the quarterback the Jaguars were hoping would be their franchise guy. 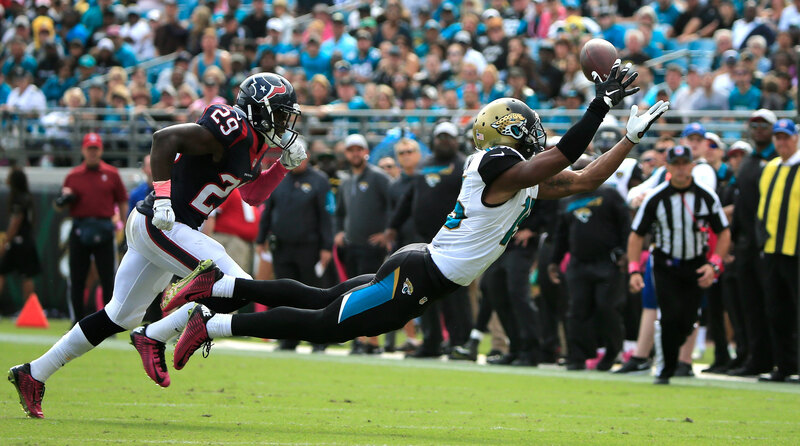 In addition, the Jags’ receiving corps was at the time led by Cecil Shorts and 2012 first round pick Justin Blackmon, who has not played a game in the NFL since October 2013 due to repeated violations of the league’s substance abuse policy. As it turned out, Bortles didn’t make the transition to the NFL as well as some may have liked, struggling with interceptions and sacks in his 13 starts in 2014. This didn’t bode well for Robinson and the Jags’ receivers; none of them even surpassed 700 yards. The Jacksonville offense ranked last in the league, which translated to a 3-13 record. No quite what we had in mind. Flash forward to the 2015 season. Some call this season an anomaly for Bortles on his four year resume, and while that argument may carry some weight if you watch his play over the course of that season, Bortles through for close to 4,500 yards and 35 touchdowns. That’s what can happen when you target Allen Robinson 150 times. Even when Bortles made reckless throws into coverage that no quarterback should have made, Robinson did his job and came down with the catch more often than not. Robinson was a downfield threat and a red zone nightmare. All in all, Robinson’s breakout sophomore season resulted in 80 catches, 1,400 yards, 14 touchdowns, and his first Pro-Bowl selection. As free agency came upon us in March, the Jaguars had a decision to make with Robinson. He was an unrestricted free agent and would be one of the most coveted receivers on the market. Teams knew what Robinson was capable of, but two years removed from that 2015 season and now coming off an ACL injury, there was some risk for the Jags in paying to keep him. They considered placing the franchise tag on Robinson, which would have cost them nearly $16 million in 2018. In the end, the Jaguars let Robinson walk in a controversial move, especially considering the players they elected to keep and sign, along with picking up Bortles’ fifth year option. 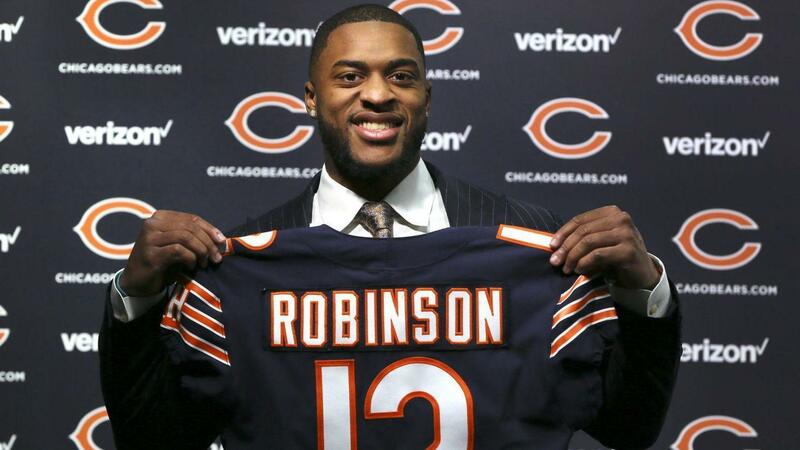 Robinson signed a 3-year, $42 million dollar contract with the Chicago Bears. Now Robinson finds himself in a similar situation to the one he was in in 2014. The Bears drafted their quarterback of the future in Mitchell Trubisky last April, and he already has his rookie season under his belt. The Bears’ receiving corps has no veteran presence, 2015 first round pick Kevin White has probably only one more season to prove he’s not a complete bust, and the Bears lost restricted free agent Meredith to the Saints after declining to match their offer sheet. The Bears signed Marlon Brown last Thursday, but apart from the 7 touchdowns he posted in 2013, he was never a big factor in his time with the Ravens. Robinson enters as the de facto #1 receiver in former Chiefs’ offensive coordinator and new head coach Matt Nagy’s offense heading into 2018. Without a quality running mate opposite him to draw defenders away, Robinson will most likely not be the most efficient receiver, but he should earn close to the 150 targets he had in consecutive seasons with the Jaguars, and he is going to be a huge weapon in the red zone. Someone will have to emerge for the Bears for them and Robinson to reach their true potential. Nagy and new offensive coordinator Mark Helfrich (former head coach of Oregon) will surely be creative and use speed mismatches to create space and make an NFL offense have more of that “spread” feel. Nagy and the Bears brought Taylor Gabriel over from the Falcons, who is essentially a poor man’s Tyreek Hill, and still have the skill set of Tarik Cohen at their disposal. They also acquired an athletic tight end in Trey Burton. If you include the threat of Jordan Howard on the ground, Trubisky and Bears have a young team with potential, and if all goes well, I see no reason why Robinson can’t be successful as he was in 2015. I put Robinson’s floor at 75-1,000-7. Despite the injury, from which he will have had a full recovery period, he is driven. In fact, he’s held onto the hospital wristband from that surgery as extra motivation. He is undoubtedly talented, and has been compared to Dez Bryant in his prime for his size and ability to win heavily contested jump balls consistently. He’s excited, and you should be too. [Note: To finish the rest of the story involving my trade…. Thanks for reading! Be sure to go back and read all my other #ManCrush articles if you haven’t already! Stayed tuned for my next #ManCrush piece on Cardinals’ safety Budda Baker! Check out all my work and follow me on Twitter @brad_petrowitz. Nothing beats a bit of draft speculation straight after one of the best Superbowls of all time, right? I’ll be going through the draft needs of every NFL franchise, and now I’m 75% done with this, the NFC North edition! The ‘nearly-men’ of the NFL last season, following a death-defying, last-second touchdown, and then a soul-destroying defeat a week later to the eventual Champions; the Vikings must be feeling like they’re very close to making it to the big game, and possibly even winning it. Dalvin Cook will hope to be ready in time to start week one, money to spend on a quarterback and only Joe Berger and Tom Johnson considered urgent contract situations, the future is bright in Minnesota. 2017 was an insane year for Jackson, with a ridiculous playmaking rate, allowing a lowly 41% completion rate when defending the pass. Elite instinctive player with good height and arm length. He’s drawn to the ball rather than the man with fantastic handling skills, which figures given his history as a receiver. Loves the attention that comes with the big plays but works hard at the same time in order to improve. There is however, a huge concern for me. He’s started 14 games. What’s to say 2017 isn’t an outlier. If you look at the stats, which will be below this paragraph, it has to be considered his absolute ceiling. An experienced quarterback will be able to manipulate him into a route misread. Tackling isn’t a strength either making Josh Jackson a low floor, high ceiling prospect but very alluring based on upside. Athletic guy who plays mostly inside. Good burst and anticipation. Uses his instincts well and is able to notice pre-snap movement and adjust accordingly. Stamina is above-average so BJ Hill may be able to play more snaps than most within a DL rotation. Solid tackle production in his college career so far. Has shown a tendency to get caught out by double-teams. He’ll need to work on his body control and balance on contact. More strength will be required at the point of attack in order to make it at the next level. An intelligent and strong player; Corbett plays with good awareness and instincts, combined with technical ability. Only played at tackle in college so will have to adapt in order to play center. Leg drive isn’t the strongest and his allows defenders through too often due to poor hand placement. This may be another reason to bring him in as a center. I highly doubt he’ll be an NFL tackle or even guard, but the Vikings could sure use him in the middle. I can’t be the only person anticipating a busy off-season in Detroit? I’m also highly intrigued to see how highly-coveted HC Matt Patricia does in his new role – a role he fully deserves. At the time of writing, They have Travis Swanson, Darren Fells, Tahir Whitehead, Paul Worrilow, Tavon Wilson and Nevin Lawson out of contract, as well as several other areas of need. It looks like Frank Gore may sign, and between us, my bold prediction is that Gary Barnidge makes a return to the NFL at tight end. 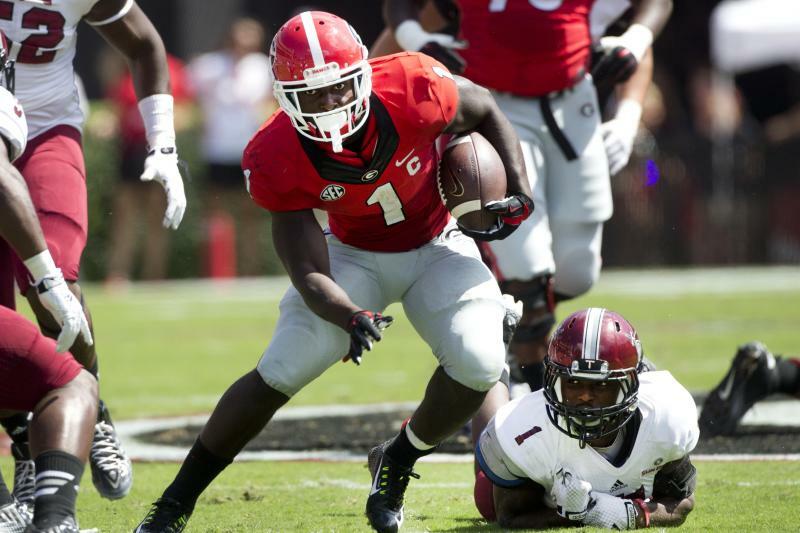 One of my favourite prospects in this year’s draft, Sony Michel is the better of the two highly-promising running backs coming out of Georgia. He’s decisive and has the intelligence to make decisions quickly, avoiding taking unnecessary risks and finding the most efficient path. Huge home-run potential. His ability to burst through linebackers quickly gives him a huge advantage and his vision will allow him to get extra yardage regularly. He also happens to be a very competent blocker as well which will always go down well with NFL coaches. He may need to work on his catching technique – he hasn’t had any real issues with drops but could catch the ball more cleanly, especially under NFL level pressure. Now, before I start…yes, I am aware that before ANY of the prophecy below can come true, Maurice Hurst will need to be medically cleared. 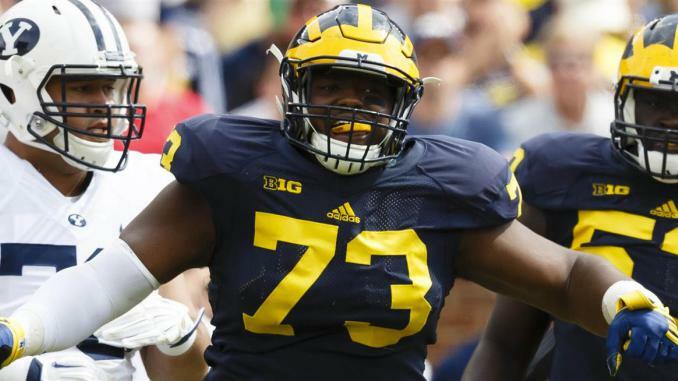 For the purposes of my article, I am assuming that Detroit luck out and get a first round talent at 51 overall because of the fear in relation to the heart irregularities which came out of the combine. Hurst has good initial quickness and aggression. He manages to find a way to sneak through the blockers and toward the quarterback or ball. His speed is accompanied by good footwork and this allows him to adjust his positioning and angles well. 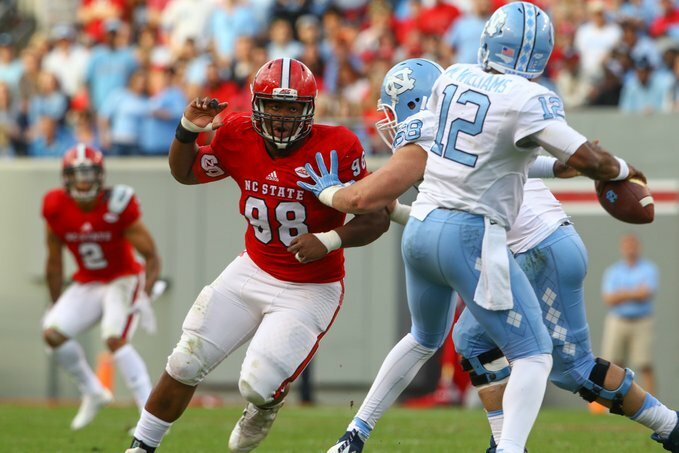 He’s a little small compared to other defensive linemen, at college and NFL level and so will have to close the gap on stronger blockers to avoid trouble. He would definitely be more effective in a 4-3 defence, but let’s just say Matt Patricia knows how to run a good defence. My new favourite linebacker? Who wasn’t entirely awestruck with Shaquem’s combine performance? Incredible. Matt Patricia will love his character and the fact he is capable. Good athleticism, great intelligence and clearly, the ability to adapt. He’s a punishing hitter and disruptive in several ways across the field. Will be a very good fantasy football player as he fills up the box score. Good technique. He’ll need coaching to improve his tackling technique as he can go in a little high and this may allow tackles to be broken. He will be somewhat limited by his physical limitation (for those who don’t know, he doesn’t have a left hand) but I think he is fully deserving of a place on an NFL roster. In 2017, Packers fans had to endure the majority of the season without Aaron Rodgers. From 2018, they will have to watch their team sans Jordy Nelson. They have signed Jimmy Graham who will certainly provide a red-zone threat; and generally they don’t have too many contracts to extend, with Jahri Evans, Davon House and Morgan Burnett the only guys out of contract. It remains to be seen whether the Packers will look to build for the future or go ‘win now’, but the below picks will help them achieve either. Elite athletic ability, with the patience and technique to make him an instant starter in the NFL. True ‘lockdown’ corner. In fact, over the last two years, he has allowed a completed pass less than one-third of the time he is the targeted cornerback. Excellent disruptive ability and can keep up with the receiver in most situations. Reminds me a lot of Chris Harris at Denver, so that is the level we’re dealing with here. His build is a bit smaller than average and visually at least, he appears small in coverage against bigger receivers. 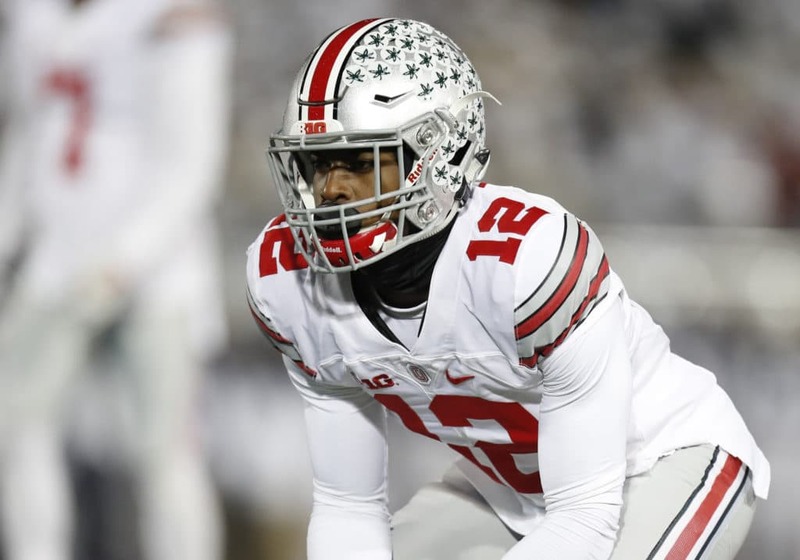 He would immediately start as a slot cornerback with a view to moving him outside after some NFL experience and coaching, but a solid pre-season could see him go outside straight away. Size, speed, and a good teammate. These are three ringing endorsements from coaching staff for whom DJ Moore played at Maryland. He was the go-to guy there, using his quick feet and acceleration to great effect. He can be trusted by a quarterback to make plays. Lethal on screen plays and took on punt return duties in 2017. He will need some coaching to ensure he’s as competitive as a route runner as he is after the catch as he fails to gain enough separation at times. On 50-50 balls he loses more often than he wins. I think he has it in him to really focus once drafted, work on the areas his coaches ask him too and confidently play his play into the hearts of the Green Bay fans. It may be optimistic to think Rasheem Green will; still be available at this point but you never know. Green is tall and once he bulks up, will have a very intimidating frame to work with. Explosive bursts at point of attack with violent, aggressive tendencies against the blockers initial contact. His overall strength and body control needs work, but this is normal when going for early draft eligibility. Can be slow to find the ball on occasion. Needs to learn how to trick his opponent as he is easy to read at times. 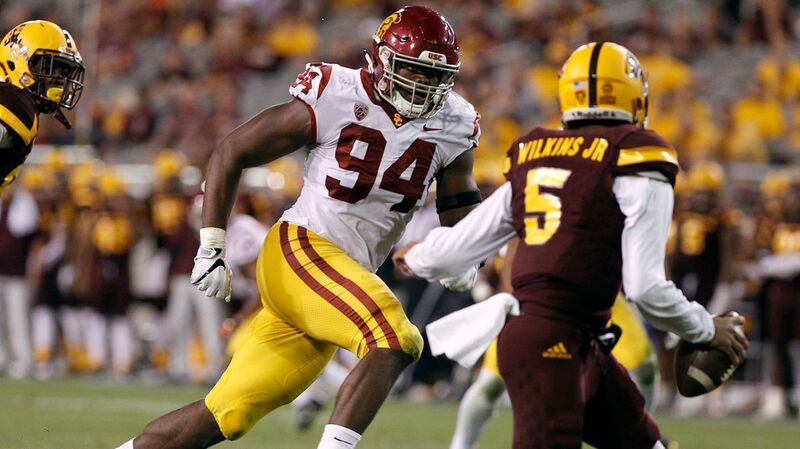 With the right coaching, Green will be a top defensive end in the NFL, but patience may be required initially. Arguably the best defensive back in this year’s class. Eats, sleeps and breathes football. 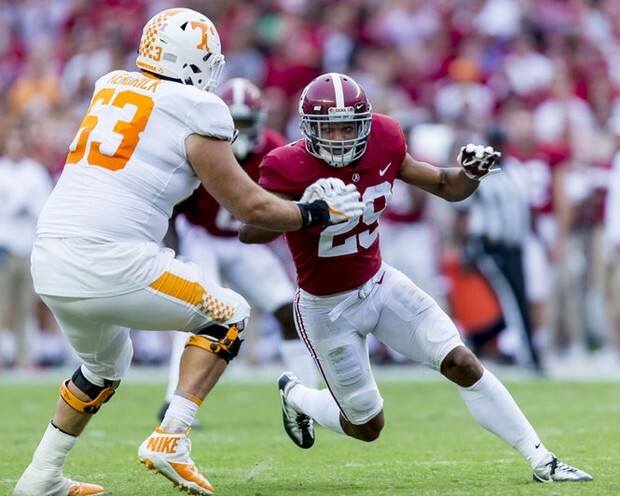 A big-game player with the utmost competitiveness, Minkah Fitzpatrick is a franchise player. Can play all over the secondary and even in nickel linebacker roles. Excellent blitzer, and home run ability if he makes an interception. Also elite playmaker on special teams. An NFL coaches dream. He’s not the finished article just yet, but there really isn’t much to work on. Think Jamal Adams or Budda Baker. Chicago improved their offensive weapons on the outside in free agency; now they get their slot guy. 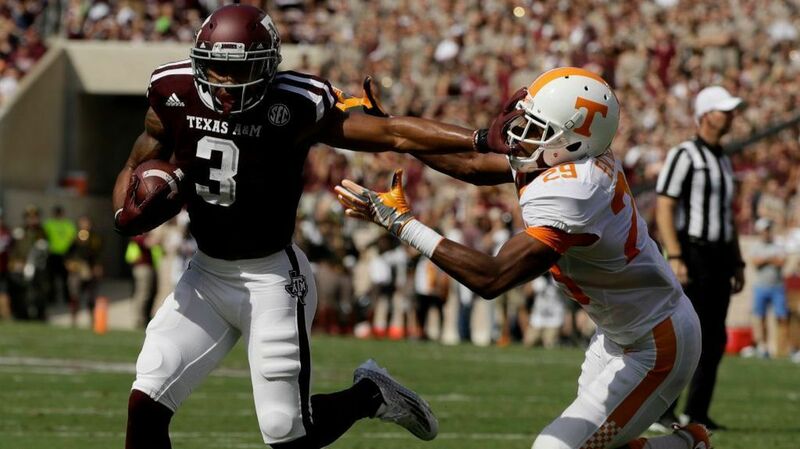 Christian Kirk is well-built and strong. He has a fantastic work ethic and runs slant and whip routes excellently. Great hands and able to catch the passes which aren’t 100% accurate. Good after-catch ability which translates into punt/kickoff return skill. He isn’t the quickest but I think he fits well in a Nagy system as a pure slot guy. 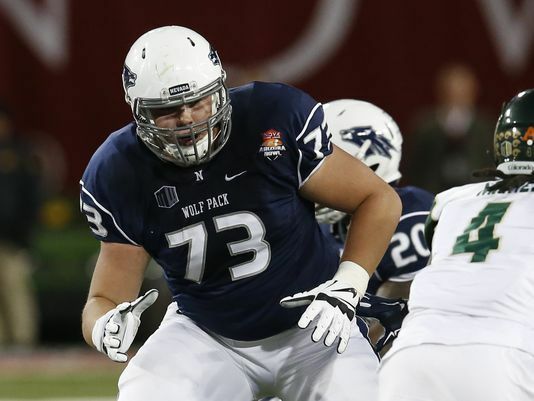 Will Clapp is the right build for an NFL center and also has experience playing guard in college so if needed he could handle reps there in the NFL. He’s competent when it comes to blocking. Very intelligent and has good awareness of space particularly in pass protection. He may not start right away as he will need to work on his technique but eventually he could become a good addition to Trubisky’s protective unit. This is my first attempt at writing about fantasy IDP ! I’ve always been fascinated with adding defensive players into leagues and hopefully this will become a series of article focusing on various positions. So lets jump straight in: Defensive Backs. Per Football Outsiders, 52 Defensive Backs participated in 90% or more of their teams defensive snaps in 2017. Of these 52 players, 15 were either rookies or new additions to their team. With such a huge work load in year 1, lets see how productive they were for IDP leagues and keep our fingers crossed their usage continues in to 2018. All scoring is taken from the the NFL default IDP scoring system which is as follows: Tackle = 1pt; Sack = 2pts; INT = 2pts; Force Fumble = 2pts; Fumble Recovery = 2pts; TD returned = 6pts and PBU = 1pt. With the current default scoring weighing so heavily towards tackles, it is no surprise that defensive backs do not have a huge level of fantasy production (on a per game basis). It seems that their relative success is predicated largely on their play making ability. Perhaps if forced turnovers were more valuable DBs (corners in particular) would be as valuable as Linebackers? Maybe. So, rant over. Time for a break down of these top 5* DB acquisitions from 2017! *Order of players is based on their Fantasy Points per Snap. The Buffalo Bills truly had one of the most rocky but successful seasons they’ve had in years! Aside from making the play-offs for the first time in my lifetime, they benched their starting QB to a disastrous end (#FreeTyrod). But, their off-season additions were truly something to celebrate. Jordan Poyer and Micah Hyde arrived in Free Agency and Tre’Davious White was drafted in the first round. Not only were all three of these phenomenal (White specifically), more importantly, they all appear on my list. And I mean that with no level of arrogance. The fact that they are on this list means they played 90%+ of their teams snaps, a huge achievement for newly added players, all 3 in the secondary. Now, on to Poyer. This season for him was the definition of a ‘career year’. His total career INTs = 7; INTs this year = 5; total career tackles = 219; tackles this year = 95. Not only that but he also played (and started) 15 or more games for the first time since 2014 which was the only other time in his five year career. Moving forward, I would not expect his usage to change, there’s no reason it should, outside of the Bills drafting Derwin James (he won’t still be on the board at pick 21). The Bills depth at safety is non-existent and besides Morgan Burnett, the Free Agency market is slim at the strong safety position. Furthermore, his cap hit for 2018 is a mere $3.875 million (overthecap.com), making him the 30th highest paid Safety in the league next year. Let’s hope he can stay healthy. One of the many new passengers on the Jags’ hype train, the long-time Cowboy had an impressive first year for this historic defense. His numbers were bolstered by a ridiculous supporting cast, notably his Pick 6 which he expertly plucked from the air after an acrobatic Jalen Ramsey Pass Break Up. But he was still a good player in his own right. Recording the second highest Points Per Snap of the 15 DBs listed above (behind only Jordan Poyer), he was making plays all over the field. At 30 years of age he still has a few years left in him and his cap hit is fairly minimal at $5 million for 2018. The addition of Church seemed to add just a little more spice to an already red hot defence and in essence, that is exactly what a competent safety can do for a defence. With most of the Jags defensive players returning for another year of dominance, expect Church to continue his reign of terror in Florida. Unfortunately for opposing QBs the Jags are strong throughout their secondary, so unless they want to run the ball 50 times again they will be forced to pass at some point. Church, although a good coverage player, may be deemed as the weakest link of all their DBs (unless the slot position isn’t filled), which is good for us. More targets = more tackles, more PBUs and more chance for an INT. Don’t forget, we don’t care if he gives up 200 yards and 2 TDs a game in coverage – unless it gets him benched. Along with Casey Hayward a few seasons ago, add Micah Hyde to the list of: “Defensive players the Packers really wish they hadn’t let go and now want them back, please.” These two ball hawks may soon be joined by fellow safety Morgan Burnett when he joins the Colts and starts dominating the AFC South. Hyde is the second of three Buffalo Bills in our top 5 for this week. As previously mentioned, the Bills knocked it out of the park when improving their secondary. The 2017 Pro-Bowler and Second-team All-Pro picked himself 5 passes out of the air in his fifth NFL season. Pair that with career highs in tackles (82) and PBUs (13), Hyde had a great IDP season for a safety posting the third highest Total Points, Points per Game and Points per Snap of those in our top 15. Just with Poyer, the depth behind Hyde (that’s not fun to read aloud) is poor and his cap hit, although higher than our previously two entries still ranks 16th in terms of Safety salary in 2018. Lets hope this safety tandem can grab another 10 INTs between them next season! Perhaps the best rookie defensive player behind DROY Marshone Lattimore, Tre’Davious White was a revelation. Without a doubt the Bills best first round pick since Stephon Gilmore in 2012, White developed quickly into one of the top 10 Corners in the league. He is also the only CB in our top 5. Paired with another new addition to the team (EJ Gaines traded from the Rams) the future of the Bills CB core is a very bright one. Once again, the Bills successful in their secondary has already been discussed- twice! With an enormous 22!! Plays on the ball in 2017 (18 PBUs and 4 INTs) white proved to be one of the top DBs in IDP league, especially in dynasty leagues. He also added 4 total Fumble plays and a return TD for good measure. Players of White’s calibre do not enter the league on a regular basis and we all hope that his success continues long into the future. The issue with his immense talent as a shut down corner is the reluctance of opposing QBs targeting him. This was illustrated in 2017 as 13 of his plays on the ball occurred within the first 8 weeks of the season with only 9 to come in the following half of he season. This may not seem like a huge disparity, but in 4 of those final 8 games, White recorded 0 plays on the ball including 0 in the final two weeks of the season. Now, this may be due to his own poor performance (which I doubt) but it is more likely it was due to teams avoiding him. That was my poor attempt to disparage you from adding White to your fantasy roster, so he’ll be there for me instead. Selfish, I know, but worth a shot. This man is a stud and I loved watching him play. At the embarrassment of the Carolina Panthers, Jackson will be forever embedded in NFL history as the only player to return 2 defensive touchdowns of more than 75 yards in the same game. A huge, monstrous achievement. But, also, not a great indication for fantasy. Those two plays alone account for 18 of his 103 points for the season (17.5%) in the form of an INT, a FF, a FR and of course the 2 TDs. Despite this, he still put together a solid season as a rookie. Namely, playing an enormous 99.7% of the Bears defensive snaps!! The highest mark of any DB in the league, tied with Tennessee’s super start Safety Kevin Byard (per football outsiders). Fourth round picks rarely pan out to be such impact players. But this lack of invested capital can have an adverse effect. IF a better player presents themselves to the Bears, their willingness to rotate Jackson further down the depth chart will be higher. But, I cant see that happening. A roster with so many glaring holes it is unlikely the Bears will up-heave one of their strongest players. Furthermore, the Bears recently released veteran Quintin Demps, a player who, in the past has been more than competent. Eddie Jackson is yet another example of high-value defensive players that came out of the 2017 NFL Draft. His future is bright, now we ask for more consistency. I hope you all have enjoyed my first entry tackling fantasy IDP! Fingers crossed part 2 of this article will be out within the next couple of days. In which we will discuss the following players: Adoree Jackson, Jamaal Adams, Tre Boston, Mike Adams and Marcus Williams. All stats (unless otherwise indicated) were taken from NFL.com. In 2017 we saw a number of high-profile, elite level players go down with injury. Other players were replaced by seemingly more viable options. At the most important position in sports, this turnover of talent can have a huge impact both on the field and in the fantasy football world. This article aims to outline the variance in production of certain team’s weapons when their signal caller was replaced, willingly or otherwise. These quarterbacks include Mitch(ell) Trubisky of the Bears, Brett Hundley of the Packers and of course Mr.Moneybags Jimmy Garoppolo of the 49ers. Coming out of the 2017 draft (2nd overall) there were a number of questions surrounding the Bears future franchise QB (?). Most notably his lack of college starts, of which he only amassed 13 starts in a 3 year career at North Carolina. After taking over from Mike Glennon in week 5 as the starter, Trubisky flashed lots of potential but was limited by the play calling of John Fox and team. In 12 starts he average just 27.5 pass attempts against, almost 5 fewer than the league average (32.46). But how did this reflect his surrounding talent? Lets take a look. In an unspectacular first season for the man out of North Carolina there is certainly room for improvement. Clearly, the under-utilisation of Tarik Cohen was evident and we can all hope that the new coaching staff changes this. But ultimately, it is hard to give Trubisky too much flack for his first year. The Bears need more weapons. Simple as that. When your top WR is averaging just 40 yards a game you should be concerned. With another year under his belt, some competent weapons and a more adventurous coaching staff, look for Trubisky to improve in year two. Note his preference for targeting TEs. Zach Miller is unlikely to return to his former self (if at all) and Adam Shaheen is a physical specimen, potential high upside waiver wire claim. Finally, be weary of Jordan Howard’s production. He is without doubt an immense talent but for fantasy purposes he can be quite scary. In his 4 games with Glennon, Howard surpassed 80 total yards and/or scored a TD in 75% of games. With Trubisky he only achieved this in 41.67% of games (5/12). Although his per game production was still impressive he was prone to ‘bust’ games peppered with huge explosions. After Aaron Rodgers suffered a broken collarbone at the hands of Vikings OLB in week 6, Brett Hundley valiantly stepped up to the plate. The results were, mixed. At times he flashed some ability but fell completely flat at home in Lambeau Field, failing to score a single passing TD. Despite this, his rapport with recently extended Davante Adams built as the season progressed, providing a glimmer of hope for us fantasy nerds. Clearly, Hundley will not be starting for the Packers in 2018 but it is worth evaluating him nonetheless. Fingers crossed Aaron is healthy in every game for the rest of his career. But in the absence of another back-up, the responsibility may fall to Brett once again if injury strikes for the most talented QB of all time. This table mainly shows how much of a dominant force Aaron Rodgers is in this league. Exclusively looking at Jordy Nelson’s numbers with Hundley under center may trick you into thinking the once excellent WR is over the hill. Although this may be true to some extent it is not the complete picture. He has certainly lost a step at the hands of age and injury. But, his almost telepathic-like connection with AR12 keeps him relevant in this league. As for the RB situation; Ty Montgomery was largely injured after a promising start to the year. There are rumours of him returning to WR which would be a shame after he exhibited potential at RB. Aaron Jones may be one dimensional but he is a powerful runner who will make a great number 2 in this league. The real story is Jamaal Williams. 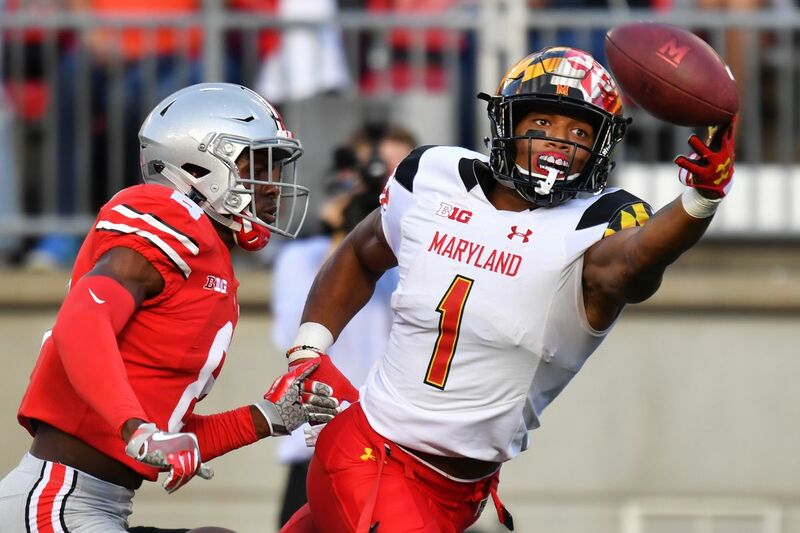 After he surpassed Montgomery and Jones on the depth chart, Williams’ receiving ability out of the back field impressed the football world a great deal. The Packers are likely in the market for a RB in the draft (potentially late round) but if Williams maintains his role, keep an eye on him. Lastly, Adams just got paid. He will be used and he will be effective. Cobb is a few years removed from pro-bowl level play and could save the Packers a sizeable chunk of cap space if released. Just saying. As a 49ers ‘Faithful’ I will do my best to keep a level head when discussing The Bay Area’s newest superstar. Having said that, it is clear that the addition of Garoppolo was just the push the 49ers needed to get back to winning football. Not only did the offence flourish but the defensive seemed to step up, leading to five start wins for the 49ers to end the season. The mind boggles at the potential this team would have had if Pierre Garcon were healthy during the inauguration of King Jimmy. It is no question he was the team’s most reliable weapon at the start of the season, leaving Jimmy G to throw to less-than-elite weapons. Although his TD:INT ratio doesn’t pop off the stat sheet he amassed a tremendous amount of yardage. Much like Trubisky’s situation with the Bears, expect Jimmy G to be surrounded by new weapons in 2018. 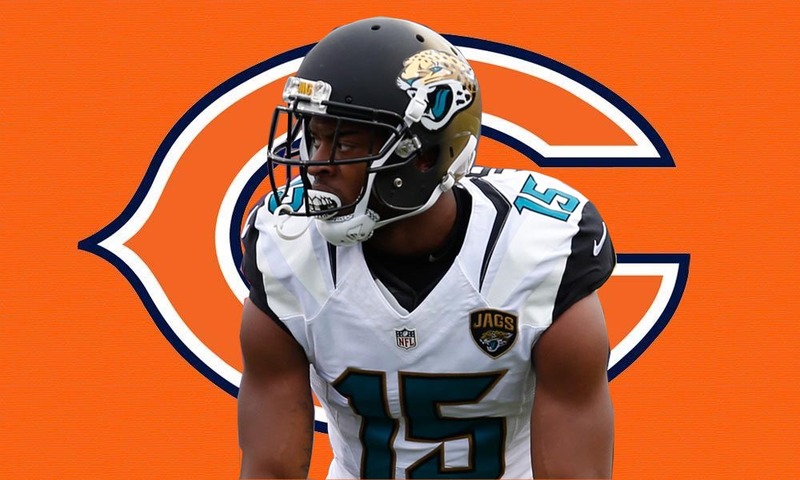 One can dream that Allen Robinson will not be tagged by the Jaguars and Lynch&Co snag him in free agency. Assuming that, Sammy Watkins may become available and in light of being tagged; Jarvis Landry may be in a position to be traded for. Although free agency appears to be the focus of John Lynch, the 49ers have enough late-round picks in the upcoming draft so look for a WR selection on the third day. In terms of fantasy advice, Pierre Garcon will be a valuable late round selection as he has been for the majority of his career. He inhales targets, providing a cushion of security in PPR formats. Depending on the fate of Carlos Hyde, Matt Brieda may be a player to keep an eye on. He has top end speed and is more elusive than his glass-cannon counterpart (Hyde). Finally, George Kittle and Trent Taylor are primed for a break out season (ignore the cliche). Kittle had more production (in terms of yardage) in his final 5 games than Vance McDonald had in his entire tenure with the 9ers. Trent Taylor loves to convert third downs. Thank you for reading my first article with Cleat Geeks, please do not hesitate to contact me, George Murphy by following me on Twitter and provide comments or criticism. Everything is welcome. In the future I will be trying to produce two articles a week during the off-season covering a range of topics and I promise to keep my Jimmy G bias to a minimum. The Chicago Bears number one priority in the off-season was finding the right coach to take the franchise in the direction it hopes to finally get back to. The Bears and Ryan Pace are tying their future with Mitch Trubisky in the picture. Ryan Pace and the Bears’ brass made it a priory to find a coach that believed in Trubisky and believed in what the Bears had to offer, including defensive coordinator Vic Fangio. The number one priority after getting Matt Nagy to choose Chicago over Indianapolis was getting Nagy a defensive coordinator to keep that side of the ball stable. It had been reported that Nagy had agreed that if he got the job he would try to recruit Fangio back to Chicago, though his contract was expiring the day after Nagy signed. This was part of the reason the Bears moved so fast to get Nagy on board. Fangio spent the last three seasons under John Fox as the Bears defensive coordinator and was set to be one of the top targets for many defensive staffs around the league. Fangio has developed a good reputation for himself over the past decade or so. Fangio has been all over the league as defensive coordinator but really made a name for himself under Jim Harbaugh in San Francisco. The 49ers had one of the best defenses as they went to three straight NFC Championship games with one Super Bowl appearance. When Harbaugh was let go (or both sides mutually agreed to separate) Fangio was recruited by John Fox to Chicago to serve in the same role. Why Is Fangio So Important? In his first year as defensive coordinator Bears moved from 31st ranked defense (thanks Mel Tucker) in terms of points allowed to 20th. The following year the Bears finished 24th, with an offense that really was a joke at the quarterback position. Think about the starters the Bears had, Matt Barkley started most of the Bears games that season. During the 2017 campaign, the Bears finished 9th in the NFL for points allowed. Now some of those numbers can seem a little high and many people can wonder why it was so important to keep him, but think about the Bears offense. The offense has finished no better than 23rd in terms of points per game over the past three seasons, including 29th this past season. This means the defense was always on the field and usually never playing with a lead. Playing defense with a lead and playing defense from behind are two totally different things. If you actually watch the games the Bears have played, look at where they get the ball. Look how many times they have been in bad spots. Look at the time of possession. Sure some of it has to do with defense, but it’s almost ridiculous how well they have played with all this on top of an awful offense. Continuing on, think about the roster changes the Bears have made since Ryan Pace has come in. I believe Fangio, Pace and even Fox get a little bit of a break on this one. The longest tenured Bear right now is Kyle Long. On defense? Sherrick McManis. Think about that one, not even a full time starter. McManis is known more for his special teams play. The Bears have had a total overhaul with their roster and the defense has only gotten better over time, with players that really should not have been playing as much as they were as the Bears tried to find an identity on defense and pieces they could build with moving forward. Injuries are not an excuse, although the Bears were dealing with a lot of them – especially at the defensive end. A lot of those issues with depth and what not come from the GM, the head coach and strength and conditioning program. Fangio and the defense never seemed to skip a beat. He always found a way to get a lot out of his guys – whether it was linebackers filling in for Jerrell Freeman (injuries/suspension), guys filling in for Danny Trevathan, or guys filling in for the always injured Pernell McPhee. Just a few names of guys the Bears were really hoping to depend on that really haven’t been around much the last couple of years. Fangio always seemed to be ready with whoever he had. The thing that really has me excited with Fangio is consistency, something that you do not get out of the NFL these days. Fangio has developed so many guys over the past three seasons that it is almost exciting to see what the Bears can do with some guys with injuries coming back, plus some of the guys who have stepped up. Guys like Leonard Floyd who has shown real promise over the course of the past two seasons. Guys like Eddie Jackson who showed during his rookie campaign that he could help the defense tremendously in the defensive back field. How about the development of Akiem Hicks who was a pro bowl snub which many agree with. Those are three guys that you can depend on and move forward with, and potentially win with. It gets me excited knowing these guys are part of the Bears foreseeable future and knowing Fangio will be the guy leading them makes it that much more exciting. Getting Fangio back is exciting because we can see where this defense can go next with the same guy leading them. The same scheme, the same voice, the same expectations – if not more. The Bears have a lot of personnel coming back and a lot of personnel (hopefully) getting healthy. It is exciting to see the Bears get back to what they have been known to do for a long time, playing defense. Now that the Bears have a competent defense that looks promising and on the rise, let’s fix the other side of the ball – what Nagy was hired to do. The best defense is a good offense, ask any defensive coordinator. Keeping Fangio may be the best signing the Bears make all offseason, including free agency. The Bears got their number one guy they had to lock up. The defense has definitely not been the issue, at least the last three seasons. Welcome back Vic!